You can build this simple solid-state preamp control center that’s used in a college music library in upstate New York. The music library in The Crane School of Music at SUNY Potsdam has ten listening rooms that receive very heavy use during the academic year. About three years ago we began to plan replacing the listening equipment in those rooms, including CD players, turntables, loudspeakers, preamps, and power amps. One problem we face whenever we replace gear used by students and faculty is finding equipment that is simple to operate. A typical Far East integrated amplifier usually has a multitude of knobs and switches on the front panel—when someone can’t get it to work, it’s usually because half of them are in the wrong position. Students also have a nasty habit of turning on the loudness contour and turning up the bass, assaulting the ears and the speakers. PHOTO 1: Top and bottom views of the power supply regulator. Using the pc board designed by Grayson King. The pilot LED and dropping resistor assembly are soldered to the bottom of the board. Only one board is needed for the preamp. We decided that the library listening rooms needed a control center that was virtually foolproof, so we decided to design and build our own purist preamp, one with only two knobs: a volume control and a selector switch. No tone controls, no loudness contour, and none of the other confusing controls often en countered on commercial equipment. Recording capability is out of the question, since library policy prohibits copying of recordings, most of which are under copyright. So, no tape outputs. System power will be controlled with a rack-mounted power strip, so there won’t even be a power switch. Simplicity is also sonically beneficial. Our goal was to design a good-sounding preamp, but we made no attempt to achieve the level of performance of a recent Adcom GFP-565 remake. That would be overkill for this application. Another benefit of simplicity is ease of construction. Builders looking for their first “from scratch” project should find this preamp a good choice. Total parts cost is around $325, including the case. The preamp’s circuitry is capable of high-end performance, limited mainly by parts quality. We did not use exotic capacitors and resistors for this preamp. Resistors are generally 1% Yageo metal film types and capacitors are Panasonic P-series polypropylenes, both readily available from Digi-Key. But, you may become as carried away as you wish with parts quality, depending on your budget and listening requirements. We used D.H. Labs’ EL-i interconnect for internal wiring on the prototype (available from Welborne Labs), but we built the ten library preamps with garden- variety wire. Our library still has thousands of LP records. Although we are continually expanding our digital file or CD collection, many needed recordings have not appeared on CD, and budgetary constraints have prevented us from purchasing as many CDs as we’d like. So, there is still a demand, albeit reduced, for LPs. Music librarian Ed Komara and we decided that four listening rooms equipped with turntables would be sufficient to satisfy the demand. So, we needed to build only four preamps with phono stages. Network “C” has a reputation for not lending itself to off-the-shelf component values. But, in experimenting with our spreadsheet, and checking the results with circuit simulation, I designed a network “C” that uses single-value, off- the-shelf parts, except for one set of parallel capacitors. Resistors are from the standard E96 series, and the capacitors are E12. The RIAA network is built around Analog Devices’ excellent AD745J op amp (IC 1), the same ultra-low noise, FET input device I used in the Adcom 565 mod series. The 8-pin DIP AD745JN is no longer available, but Rochester Electronics, a firm specializing in discontinued semiconductors from major manufacturers, still has 13,000 in stock. (At least one reader has noted that Rochester doesn’t always respond to e-mail inquiries—call them if you have trouble). You can also use the current version, the AD745JR-16, a 16-pin SOIC package. If you use the SOIC version, you’ll also need the Aries SOIC-to-DIP adapters sold by Digi-Key. Note that the AD745KR-16 stocked by Digi-Key is the same op amp with tighter DC specifications. The op amp is buffered by a high-current IC buffer placed inside the feedback loop (IC2). R3 satisfies the gain-of-S stability requirement of the AD745. The phono preamp has 40dB of gain at 1kHz, which makes it suitable for a variety of medium- to high-output magnetic cartridges. I decided to deal with the DC offset using an output coupling capacitor. I used SMF in the prototype, which puts the —3dB point at L25Hz, but I decided that an IEC-style rolloff would be more appropriate for the library application. The correct value for an IEC rolloff is 0.33uF which puts the —3dB point at 19Hz with the 25k load of the volume control. You could trim this value for the exact IEC-recommended time constant of 7950 uSec, or 20.02Hz, but I think the off-the-shelf capacitor value is close enough. R7 is the discharge resistor for C4, which prevents clicks and pops when you move the selector switch to the phono position. Finding a quality 5uF capacitor in a reasonable physical size can be frustrating. Nearly all film capacitors for high-performance audio are made only in high voltages—200V to 600V is typical—since the manufacturers seem to be tailoring these products for tube designs and loudspeaker crossovers. What high-end audio builders really need is a high-quality, 50v capacitor for solid- state designs. The SRF capacitor I used in the prototype is a 50V polycarbonate type manufactured by Electronic Concepts, Inc., type 5MC22. This cap measures only 0.8” long and easily fits on the boards I recommend later. Electronic Concepts also makes a 5uF/100V polypropylene capacitor, type 5MP, measuring only 1.25” long. Contact Elcon Sales for pricing information on the Electronic Concepts capacitors. The RIAA feedback network is low impedance, which keeps the noise levels as low as possible. Our simulation circuit for measuring RIAA accuracy (Fig actually has two signal generators and a SPDT selector switch (S1), so both the line stage and phono preamp can be simulated. Our schematic capture and simulation program is CircuitMaker 2000. For the RIAA simulations, the output is taken at the junction of C4 and R7, with Si set to phono so the line stage loading is present. The simulated RIAA response, with a 5uF coupling capacitor, is ±0.014dB, 20Hz to 20kHz (Fig. 3). Final results will depend on resistor and capacitor tolerances. The Panasonic P-series polypropylene caps used in the RIAA phono pre-amp come in 2% tolerance for values of 1000pF and higher, and 5% below 1000pF. For the prototype, I hand-selected these caps using our LCH meter (note that C3 is part of the RIAA circuit). You can upgrade the capacitors to the WIMA FKP-2 types carried by Welborne, but not without additional paralleling, since the FKP-2 caps are not manufactured in a complete E12 series, only in selected values. You can also make the C1/C1a value of 6420pF from 4700pF + 1500pF + 220pF, and you can make the 0.018uF C2 with 10,000pF + 4700pF + 3300pF. An alternative three-cap solution to C2 is 15,000pF + 1500pF + 1500pF, but Welborne currently does not carry the 15,000pF value. Welborne stocks only 2.5% FKP-2 caps—hand selection is still recommended for the tightest RIAA accuracy. 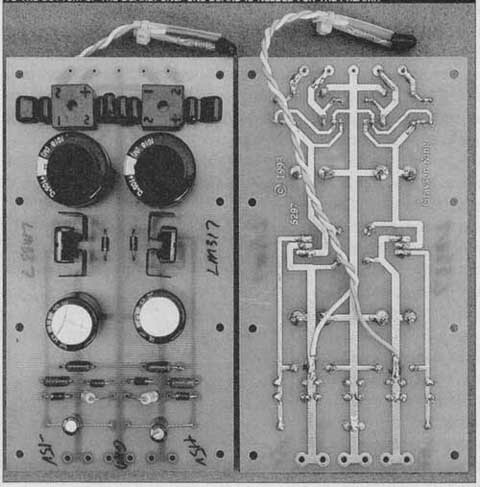 FIGURE 1: COMPLETE CIRCUIT OF THE CML-1 PREAMP, ONE CHANNEL THE PHONO PREAMP CONSISTS OF A BUFFERED AD745JN OPAMP AND RIM NETWORK C.” THE LINE STAGE USES AN UN-BUFFERED AD825AR OPAMP. FIGURE 2: SIMULATION CIRCUIT FOR THE CML-1 PREAMP. A MATHEMATICALLY IDEAL RIAA EMPHASIS MODEL IS USED TO CHECK RIAA ACCURACY. PHOTO 2: TOP AND BOTTOM VIEWS OF THE LINE STAGE. BUILT WITH THE OLD COLONY DG13R BOARDS AND BURR-BROWN OPA134PA OPAMPS. THE ANALOG DEVICES 4D825AR OFFERS EVEN BETTER SONIC PERFORMANCE, BUT REQUIRES A SOIC-TO-DIP ADAPTER. ONLY ONE BOARD IS REQUIRED FOR THE TWO CHANNELS. 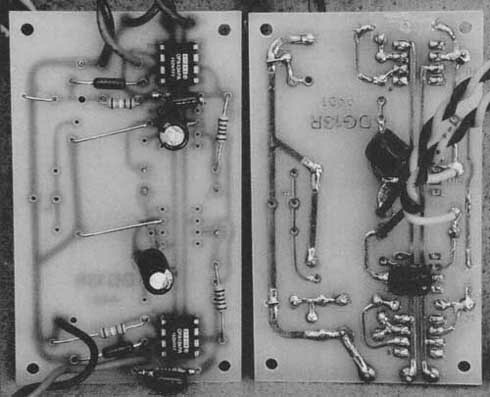 PHOTO 3: TOP AND BOTTOM VIEWS OF THE PHONO PREAMPS, USING THE OW COLONY DG13R BOARDS. ANALOG DEVICES’ AD745J FET-INPUT OPAMP IS BUFFERED WITH THEIR BUF04. OTHER SUITABLE BUFFERS INCLUDE THE AD811AN, BUF634P, OR THE DISCONTINUED BUF03EJ. ONE BOARD IS NEEDED FOR EACH CHANNEL. PHOTO 4: ASSEMBLY-LINE CONSTRUCTION FOR THE TEN MUSIC LIBRARY PREAMPS. CLOCKWISE FROM THE LOWER LEFT: POWER SUPPLY BOARDS, PHONO PREAMPS AND LINE STAGES, BOTTOM PLATES, ASSEMBLED REAR PANELS, AND THE LEFT SIDE PANELS FITTED WITH SHIELDED, TOROIDAL POWER TRANSFORMERS. For the IC2 buffer, I originally used Analog Devices’ BTJF04GP, which is a high-speed, closed-loop, current-feed back device. Slew rate is 3000V/us, out put current is 40mA continuous, and noise is a very low 4nV/ √ Hz. The BUF04 device has now been discontinued, but there are several options. Rochester Electronics has 8,900 of the BUF04GS version in stock. The GS version is SOIC, so you’ll need another pair of the Aries adapters. There are other possibilities for IC2, including the Burr-Brown/TI BUF634P, Analog Devices’ AD811AN, or Analog Devices’ long-discontinued, but superb-sounding BUF03. Both the BUF634P and AD811 require a simple adaptation. 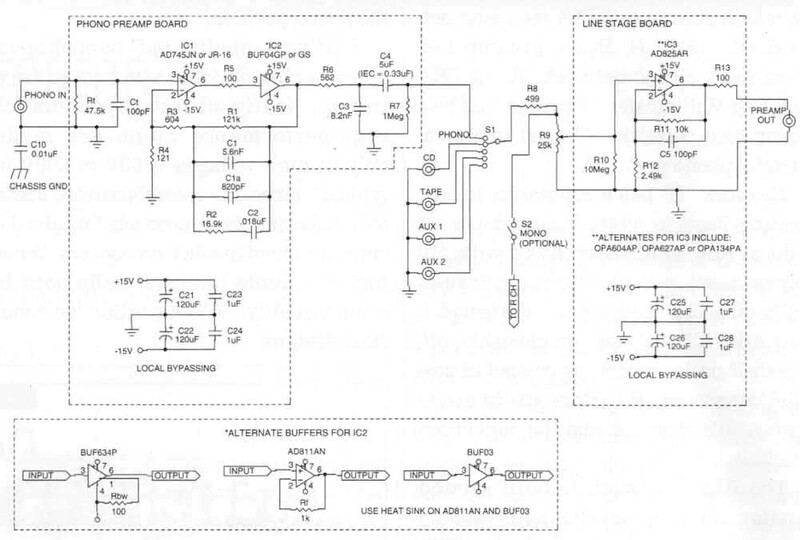 You can simply drop the BUF634P into this circuit, but bandwidth and output stage biasing are at a minimum. Burr-Brown suggests adding an external resistor between pin 1 and the negative supply rail to extend the bandwidth, which also increases the idle current. We found that 100-ohm is a safe value for the BUF634P used without a heatsink; this value puts the idle current at about 10mA, close to that of the BUF04. The BUF634P is also a closed-loop device. It has a slew rate of 2000V/ps, output current of 250mA (with appropriate heatsinking), and volt age noise of 4nV/√ Hz. Although Burr-Brown doesn’t specifically say so, the high speed of this device indicates that ft is a current-feedback design. FIGURE 3: RIAA SIMULATION OF THE CML-1 PHONO PREAMP. RESPONSE IS ACCURATE ±0.014db, 20HZ - 20KHZ. THE RESPONSE WILL BE 3db DOWN AT 19HZ IF THE IEC-SIYLE ROLLOFF IS INCORPORATED. FIGURE 4: POWER SUPPLY FOR THE CML-1 YOU CAN IMPROVE PERFORMANCE BY SUBSTITUTING LINEAR TECH. REGULATORS LT1085/LT1033 (for LM317 and 337 pair). 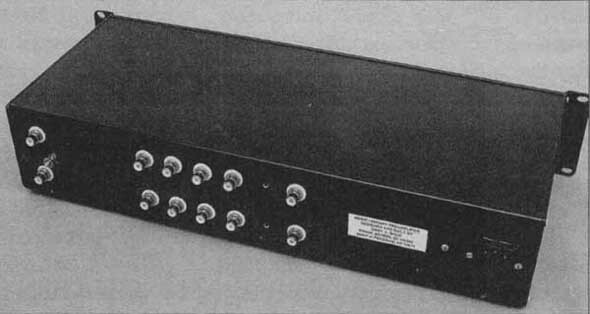 The AD811AN current-feedback amplifier has received much coverage in these pages. Since ft’s an open-loop device, the AD811AN requires a 1k feedback resistor between pins 6 and 2 for proper operation. Slew rate is 2500V/us, output current is 100mA, and voltage noise is a very low 1.9nV/ √ Hz. You should always use a heatsink with the AD811AN, which idles at over 16mA on ±15V rails. You may remember the BUF03 from our Philips DAC960 modification article in Audio Amateur magazine. The BUF03 was designed by PMI, a company taken over by Analog Devices in the early 1990s. This open-loop, FET input buffer was outstanding for audio, but it was expensive to manufacture, and its T099 case style became quite unpopular for ICs, so it was discontinued. Rochester Electronics still has over 5,700 BUF03EJ devices in stock, but they cost around $24 each. With an idle current of 19mA, this device runs hot—a heatsink such as the Digi-Key HS101-ND “gear type” is mandatory. Slew rate is 220V/us, voltage noise is specified at 50nV/ √ Hz and the device will deliver 70mA of peak output current. The noise spec may seem high, but the BUF03EJ does not degrade the noise performance of the phono preamp when it is used inside the feedback loop with the AD745J. Since the buffer is used inside the op amp’s feedback loop, it doesn’t affect the RIAA response either. Sonically, the BUF634 and BUF03 are the best performers. The BUF634 is smooth, silky, and airy in the treble region, with an extremely clean and de tailed sonic presentation. The BUF03 has a beautifully liquid sound with a touch of euphonic analog warmth that is quite captivating. The treble is smooth and silky without being quite as airy and extended as the BUF634, but inner detail is still excellent. We would say that the BUF634 is probably more accurate, while the BUF03 is just a bit more euphonic. Both chips offer a powerful, dynamic presentation, especially in the bass. The BUF04 is still a fine performer, but it isn’t quite as smooth or as detailed as the BUF634 and BUF03. Surprisingly (to me) the AD811 came in last in our listening comparisons. This device sounds a bit coarse in the upper midrange and treble, lacking the delicate, almost pristine detail of the BUF634 and BUF03. The BUF634P is readily available and will be a logical first choice for most builders. But, the BUF03 is quite remark able in its own right, and some vinyl collectors may prefer its analog euphony. We chose to keep the line stage as simple as possible, so we decided to use an un-buffered op amp (IC3) with reasonably high output current. We compared four different op amps in the proto type. Three are made by Burr-Brown/TI—the OPA134PA, OPA604AP, and OPA627AP. We also tried the Analog De vices AD825AR. All of these chips are low-offset, low-input bias current, PET-input designs, allowing DC coupling (the OPA604 is an all-PET design). They are all capable of sufficient output current for stand alone topologies (35mA for the OPA134 and OPA604, 45mA for the OPA627, and 50mA for the AD825). Sonically, the AD825AR is smoother, warmer, more detailed, and more articulate than the other chips, and other wise just simply more musical. But, it is available only in an 8-pin SOIC package, so you must use the Aries adapter previously mentioned. Despite this in convenience, it is an easy first choice to get the best sound out of this preamp. We used the OPA134 in the library pre amps, due to simplicity of installation and reasonable cost. PHOTO 5: THE ASSEMBLED PROTOTYPE PREAMP. FROM LEFT TO RIGHT: THE SHIELDED POWER TRANSFORMER, REGULATOR BOARD. LINE STAGE BOARD, AND PHONO PREAMPS. THE NOBLE VOLUME CONTROL AND GRAYHILL ROTARY SELECTOR SWITCH ARE MOUNTED ON THE FRONT PANEL. THE MONO SWITCH TO THE LEFT OF THE VOLUME CONTROL WAS INCLUDED IN THE PROTOTYPE. …where Rs is the source impedance, and R1 and R2 are the feedback resistors. (R1 || R2 = R1 in parallel with R2). PHOTO 6: FRONT VIEW OF THE ASSEMBLED MUSIC LIBRARY PREAMP IN THE SESCOM 2RU7 RACK CHASSIS. THE PLASTIC FRONT PANEL LABEL WAS MADE BY A LOCAL HOBBY SHOP FROM A CAD DRAWING WE SUPPLIED. PHOTO 7: REAR PANEL OF THE ASSEMBLED PREAMP WE INSTALLED ONLY FOUR LINE INPUTS, BUT YOU COULD EASILY ADD A FIFTH. THE FUSED IEC POWER LINE CONNECTOR/FILTER IS ON THE NIGHT. We decided early on to use a decent volume control, so we settled on the Noble 25k control sold by Michael Percy Audio. This pot costs $19.95, which is rather inexpensive by high-end standards, but is the most expensive single part in this preamp (except for the case). Originally, we figured that any old dual pot would be “good enough” for the library, so we used an audio taper volume control sold by Mouser Electronics for a couple of dollars. It made the preamp sound horrendous, so we decided that this was one place where we would not cut corners. Besides, the well-made Noble pot should offer years of trouble-free performance. The 25k audio taper Noble measures around 2k in a normal listening position, so the match between the source Z and the feedback network is very good. The Noble pot has a loudness tap on each channel, which isn’t used here. If the pot shaft is facing you, these are the far left terminals, which we cut off. Input selector S1 is a Grayhill two-pole, single-deck rotary switch that should pro vide excellent long-term reliability. Stop pins are included, so you can set the rotation for any number of positions up to six but we decided that five inputs would be sufficient for the CMJJ-1. Figure 1 shows an optional mono switch, which we included in the prototype, since we often play mono LPs. We did not put this in the ten library preamps, since the chances of it winding up in the wrong position are very high, and its usefulness would probably be limited. Since the power amp we're using (mentioned later) has turn-on and turn-off mute, the preamp doesn’t need an output muting circuit. Altemately, we recommend a sequenced power line filter. 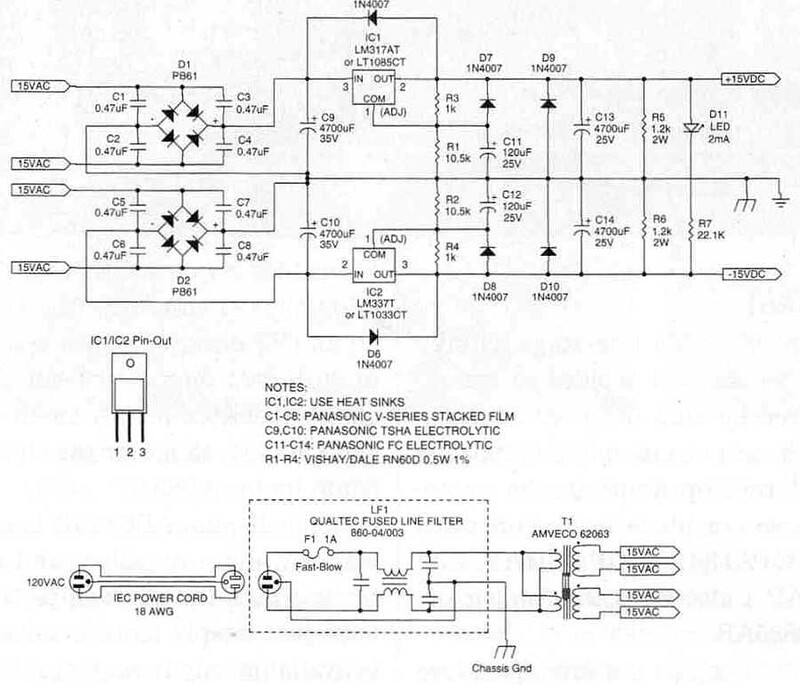 The power supply regulator is based on the Walt Jung/Rich Markell design (Fig. 4). This supply was designed around the Linear Technology low-dropout, three-terminal adjust able regulators. We used the LT1085CT and LT1033CT pair in the prototype, and recommend them for best performance. We settled on the LM317/LM337 pair for the library preamps. The power transformer is an Amveco 62063 toroidal type—the low hum field of the toroidal transformer allowed placement of the transformer in the preamp chassis. We also put a steel shield around the transformer. With a shielded transformer, there is no trace of line hum in the phone preamp. The adjust resistors R1 and R2 are 10.5k for the LM317/LM337 pair. If you choose the LT10S5CT/LT1033CT regulators, you can add a 100-ohm trim resistor in series with Hi to precisely match the positive and negative rails. This compensates for the slightly different adjust pin currents (I_adj) for the two devices. This trim is not essential, and sample-to-sample variations of in three-terminal regulators may require a different trim value if you insist on an exact match. Note that R1 through R4 must be ½W. The Qualtec AC line filter incorporates the 1A, 5mm x 20mm line fuse and a standard IEC-type, grounded power connector. We used the regulator PC board designed by Grayson King for the 4/90 supply, which he used in his Valkyrie preamp (Photo 1). The pilot LED D11 and dropping resistor R5 are attached to leads soldered to the bottom of the regulator board. Digi Key’s HS111-ND heatsinks are fine for the regulators, in most cases. Even though these are called “clip-on coolers,” we recommend using thermal compound and 4-40 hardware for the best heat transfer. If you use the BUF03 or AD811 buffers in the phono preamp, you’ll need larger regulator heatsinks due to the substantially higher current drain of these devices. Labs also sells a PC board suggest Digi-Key’s HS303-ND. We mounted the power supply PC board horizontally using #4 x ¼” stand offs available from Mouser. Welborne Labs also sells a PC board that will work with this supply—the PS1B—but fit ting the larger HS303-ND heatsinks on this board may require mounting adjacent components on the foil side of the board (Welborne also offers a complete kit for their version of this supply). You can make the line stage and phono circuits, which are relatively simple, on a variety of op-amp or prototyping boards. We used Ed Dell’s very adapt able DG13R electronic crossover board for these circuits (Photos 2 and 3). By cutting a few traces and drilling some extra holes, you can adapt these boards for a wide variety of op-amp-based projects. Both line stage channels will fit on one board. The phono preamps require one board per channel. Your local electronics store carries two small prototyping boards that should also work well with these circuits, 276—149 and 276—150. The latter has two traces running lengthwise down the center, which you can use for power supply connections. MCM carries the same boards as part numbers 21—4600 and 21--4590. Again, one board should accommodate both the left and right line stage circuits, but the phono preamps will require one board per channel. We mounted the phono and line stage PC boards vertically using angle brackets (available from Mouser) with one tapped 4—40 hole and one untapped hole. Put flat nylon washers on both sides of the PC boards to prevent electrical con tact between the mounting hardware and the components and PC traces. We have a few suggestions for soldering the AD745JR-16 to the Aries adapter. Cut off the four unused pins on each end of the AD745JR-16 op amps. These are pins 1, 2, 7, 8, 9, 10, 15, and 16. The eight remaining pins are 3, 4, 5, 6, 11, 12, 13, and 14 (these are the middle four pins on each side of the op amp). Solder these pins to the Aries SOIC-to-DIP adapter. For some strange reason, Analog De vices made pin 3 the inverting input on the AD745JFI-16. Logically, they should have made this input pin 4, so the eight pins in the middle of the package would exactly match the functions of their counterparts in the 8-pin DIP package. Pin 4 is unused, so this quirk is easy to fix—simply make a solder bridge be tween pins 3 and 4 of the AD745JR-16 op amp on the Aries header. Now, pin 2 on the PC board footprint will connect to the inverting input of the opamp. Sescom’s 2RU7 modular rack chassis is just the right size for this project. 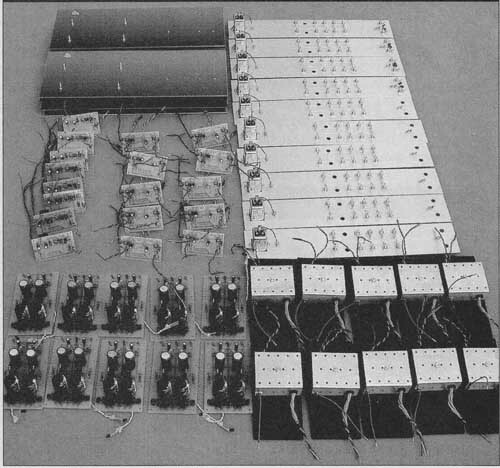 Photo 4 shows chassis sub-assemblies and assembled PC boards for the ten library preamps, and the inside view of the assembled prototype is shown in Photo 5. Pay careful attention to layout and be sure to use a star grounding arrangement. The shields from the phono input jacks go directly to ground on the phono PC boards. We mounted the power transformer on the left side piece, on the opposite end from the phono preamps, using #8 hardware. The power transformer shield must be steel. Short of using Mumetal, the softer the steel, the better. Our local hardware store carries a 5 x 3 ½” steel mending plate, USP connectors #NP35, which is exactly the right size for the transformer shield. Drill a hole dead center for the power transformer mounting bolt. Enlarge two of the existing holes in the mending plate for the transformer leads, using rubber grommets for the transformer lead holes. It’s important that the shield makes firm electrical contact with chassis ground, but not via multiple paths. We recommend running a ground wire from the shield to the star chassis ground to ensure a good connection. If you opt for this approach, you must insulate the transformer mounting bolt from the side panel with a flanged nylon bushing or shoulder washer, so you don’t pro duce another ground path for the shield through the bolt and the side panel. The mending plate is galvanized—you can solder a ground wire to the plate if you scrape through the galvanized coating. 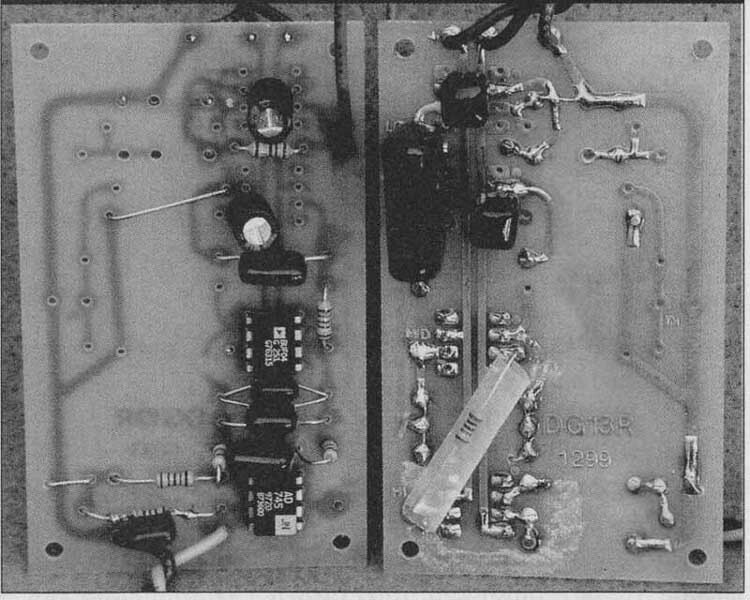 Bend the plate to form a “U”-shaped channel, and use the power transformer mounting bolt to secure the shield, using two extra nuts and a lock washer, Failure to prevent multiple ground paths from the shield may result in hum in the phono preamp, or hum on all inputs if you mount the preamp in an equipment rack. The preamp is dead silent with proper grounding. The anodizing and paint on the Sescom chassis can prevent a good ground connection. Be sure that at the rear panel, bottom plate, front panel, and side panels are tied together electrically using ground lugs. You must scrape through the anodizing or paint in order to ensure that the ground lugs make electrical con tact with the various pieces. The wiring from the rear panel line inputs to the selector switch should be shielded. If you have only four line inputs, you can use a four-conductor shielded wire for each channel. The shield should be connected to the input jack ground bus, and can float on the other end. We made all measurements on the prototype preamplifier. 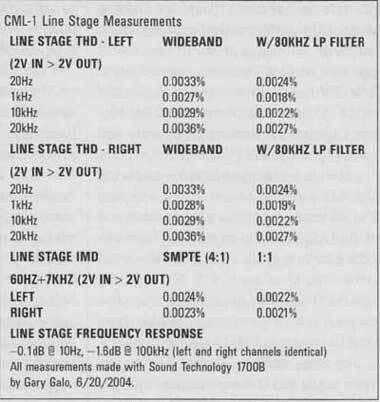 Tables 1 and 2 show measurements for the phono preamp and line stage, respectively. 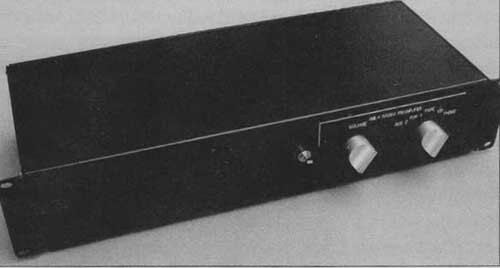 The phono preamp measurements were made at the junction of output coupling capacitor C4 and R7, with the selector switch in the phono position, enabling the line stage loading. 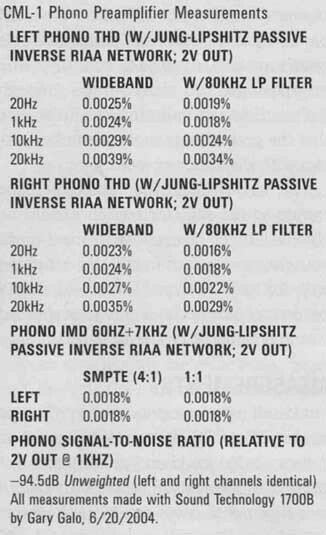 Distortion measurements for the phono preamp were made using the Jung-Lipshitz passive inverse RIAA network. For both the phono preamp and line stage, 1kHz THD products consisted entirely of noise; 10kHz and 20kHz THD consisted of noise plus a minute amount of 2nd harmonic. Most of the distortion measurements approach the limits of our Sound Technology 1700B analyzer. The phono preamp has excellent noise performance, noise 94.5dB below 2V out. Figure shows the measured RIAA response. We made these measurements with our modified, actively buffered Jung-Lipshitz Inverse RIAA network, using the procedure we outlined in the sidebar accompanying Part 4 of our GFP-565 series. The prototype preamp has hand-selected RIAA capacitors and C4 is 5uF. The measurements show excellent RIAA accuracy, ±0.041dB in the left channel and ±0.037dB in the right, 20Hz to 20kHz. 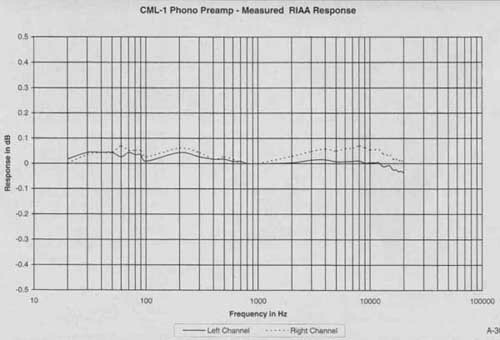 FIGURE 5: MEASURED RIAA RESPONSE OF THE CML-1 PHONO PREAMP. THE PREAMP SHOWS EXCELLENT RIAA ACCURACY, WITH A DEVIATION OF ±0.041db IN THE LEFT CHANNEL AND ±0.037db IN THE RIGHT, 20HZ TO 20KHZ. After building the prototype and the ten “production” units, we completed selection of the remainder of the library systems. Cost was a deciding factor (it always is in the State University of New York), and we needed to keep the cost of one complete system, including the turntable, to under $1300. A good-sounding pair of loudspeakers could have driven up the cost considerably, but thanks to Parts Express we were able to build a remark able loudspeaker kit for under $140 per pair. The kit is the Dayton BR-1, a vented design built around a 6½” treated paper cone woofer with rubber surround and a 1 1/8” silk-dome tweeter. The crossovers are made with high-quality parts, including air-core inductors and polypropylene capacitors (one large non-polar electrolytic has a poly propylene bypass), and the assembled enclosure is made with 5/8” MDF. The performance exceeds that of assembled systems costing several times the price -- anyone looking for an affordable, high-end loudspeaker should seriously consider the BR-1. The remainder of the system includes a Sony PS-LX350H turntable ($199 including the cartridge), a Teac CDP-1250 CD player (the only inexpensive, single-play CD player with an optional rack mount; $129 plus $20 for the RM-1440 rack mount), a Samson Technologies Servo 120 Power Amp (50W per channel at 8 for $260), and Samson PS-9 Power Strip ($70). Samson Technologies is a division of Sam Ash, which manufactures low-cost pro-audio gear, most of which is made in China. The Servo 120 power amp is based on a Sanyo STK403811 power amp module with DC-servo control. The toroidal power transformer is quite massive for an amp in this power class, and accounts for most of the amp’s 15.6 lb. The amp offers really decent performance for the price, is very well- made, and we expect it to be very reliable. The P power strip includes surge suppression. At this price you don’t get sequenced power switching, but the Servo 120 has turn-on and turn-off muting, so sequenced powering of the system is unnecessary. Performance versus cost of the completed systems is quite remark able, and faculty and students who have heard the prototype system have been very impressed. A while back, a female friend, Lorelei, listened to our prototype CML-1 preamp on her system, comparing it to her slightly modified Adcom GFP-565 preamp (her preamp is stock except for LT1122 op amps in the line stage, as noted in her write-up of our 565 preamp mods Lorelei found the CML-1 preamp to be smoother and warmer-sounding than her GFP-565, with greater inner detail, a deeper soundstage, and greater extension in both the bass and treble regions. we basically agree with her reactions, and consider the mission accomplished as far as realizing our sonic goals for this preamp. We encourage DIYers to use these circuits as a basis for departure, particularly in the area of parts quality. The Vishay-Dale CMF Type RN60 resistors carried by Mouser and Welborne Labs are an obvious—and inexpensive—upgrade, as are the Wima FPK-2 polypropylene capacitors already mentioned. The phono circuits would make an excellent out board phono preamp for an existing system, and there are many other possibilities for tailoring these circuits to complement your listening requirements and associated equipment.